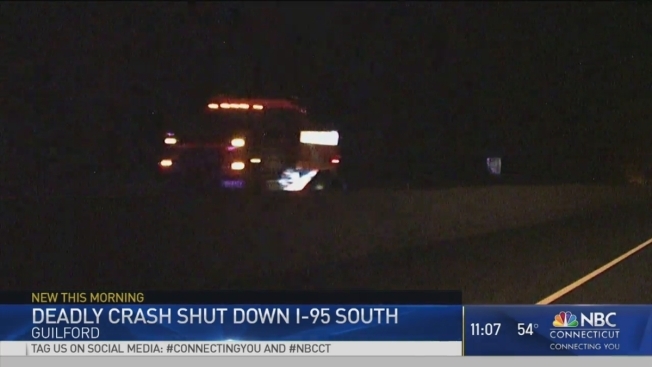 A New Haven woman was killed in a crash on Interstate 95 in Guilford overnight. According to state police, 38-year-old Kelly Reynolds was driving south on I-95 near exit 57 shortly after midnight Tuesday when for some reason she drifted off the road and into the shoulder. The car struck the guide rail and a sign before crashing into several trees. Police said the damage was “catastrophic,” and Reynolds suffered fatal injuries. She was pronounced dead on scene. I-95 south was closed in the area for several hours while crews investigated and cleared a tree that fell across the road during the crash. The crash remains under investigation. Anyone who witnessed the incident is asked to contact Tpr. Fennessy of Troop F in Westbrook at 860-399-2100.